We provide quality general and family dentistry with a special focus on modern cosmetic dental products like Invisalign, Lumineers, and composite fillings. Our mission is to create beautiful smiles for our patients by promoting oral health and wellness. We are conveniently located at 6695 Grand Avenue, Gurnee, IL and provide quality dental care for patients in Gurnee, Lake Villa, Grayslake, Wadsworth, Round Lake, and Waukegan. We are currently accepting patients at this location so please give us a call if you are in need of a dentist in Gurnee IL and surrounding towns. At Smiles of Gurnee Dental Care we are focused on the well being of our patients. To promote this patient-first approach we accept most dental insurance plans while offering flexible interest free payment programs. Please call to discuss with one of our friendly staff and we are sure we can schedule you to an appointment very quickly. 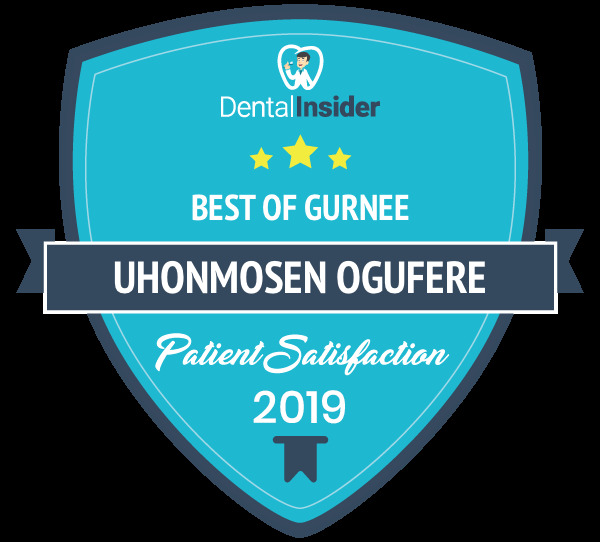 Gurnee Dentist, Dr. Osen Ogufere is a dental professional dedicated to General, Family & Cosmetic Dentistry such as Dental Exams, Cleanings, X-rays, Fluoride, Dental Makeovers, Teeth Whitening, Veneers, Crowns, & more. Please come and visit Gurnee, IL dentist Osen Ogufere, DDS.